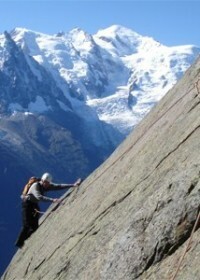 You want to improve your rock climbing by becoming self-sufficient or you are a beginner, in Chamonix Valley, the mountain guides have equiped many good climbing walls ; as in the Aravis and Italy and at altitude the Aiguilles Rouges are good rock climbing area. Abseil, tie in knots, belay. One day or several to learn or improve. Climbing is a source of intense physical pleasure. 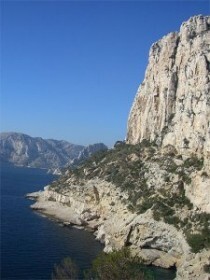 This climbing course is for rock climbers, who wish to climb in the sun, leaving the rucksack at the base of the climb. 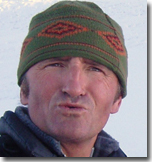 Pleasure and lightness, for a program to be composed with your mountain guide depending on your climbing level. From beginners and more experienced climbers. Lead climbing, placing natural protection (rock nuts) and rope work. This course is aimed at technique and safety. Programme: After a first day on a rock cliff, with some rope work and a few abseils, you should be ready for a high mountain granite climb, of grade F, PD, AD, D and more. A mini course for climbing the cliffs of the Valley. Equiped route with little approach or no approach. Stuning view on Mont Blanc and sun. For becoming more proficient or just for the pleasure.